Waukeela staff members come from the US and abroad to spend their summers with us in the mountains of New Hampshire! A majority of our counselors at Waukeela return year after year, so we’re pretty sure we have a good thing going here. You might be wondering now how we go about filling the remaining individuals that make up our staff. Maturity – We want to find counselors that will be the best role models for our girls. With so many impressionable young girls around, it’s crucial that the individuals we choose are mature and naturally lead by example. Kids truly do watch everything you do. Initiative – We all know that the days are long at summer camp and it’s important to know that our counselors are going to go the extra mile (sometimes literally) to ensure our campers have the best camp experience possible without someone asking them to do so. This not only contributes to the success of their job but to the success of the entire camp. While these qualities are not all encompassing, they are the top qualities that we look for. 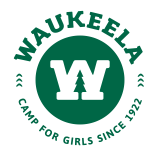 We believe we have the best-of-the-best coming to Waukeela Summer 2017 and we can’t wait!